Right now I should be doing research, but instead I am writing about the latest and greatest in news, politics, and policing. Today's post is brought to you by a glass of Gnarly Head red wine. DO NOT even go there. It's good wine. And cheap. Stop. It. I have a couple book reviews to post but due to my yucko schedule, I am not sure if I will get to them for a couple weeks. Last night while doing homework, I watched the State of the Union address. 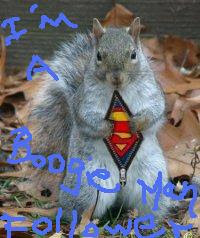 It amused me. I trolled Twitter and the interwebs to see the critics go to work. Oh boy did they. But what did they report? A 76% American public approval rate and no Pinocchios. In fact, not much to give the Democrats anything to scoff at which made them even more upset. Oh there were a few groans and frowny faces, but not your usual hell, fire, and damnation. Can I write off this speech? Hmmm. I might list it as a deduction. Nuts, I should have purchased a new necklace instead of stringing dice. 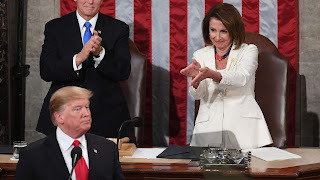 Nanci Pelosi took the house with Most Animated Facial Expressions and the Rudetooti Honor. The woman and papers at SOTU. I mean, was she doing her taxes? Was it a thank you list for Christmas presents? Was she writing a letter of apology for being stubborn during the shutdown? Why would you rattle a bunch of papers unless it was for rudeness factor? And what was that condescending clap thing about? Like her approval is going to make a difference to the American people? I'm sorry I try, but I can't like her for anything. It's this big and collapsing. The amount of money I will give you for the wall. Kamala Harris won the Grumpalumpagus Award. She could kill me with one look. It was obvious she was miserable and dying a slow, painful death. Could you imagine her as a prosecutor? *shudder* She actually has a pretty good court room interrogation presence. AOC took away the Stone Face Crown. However, I think it was done in order not to smear her perfect application of lipstick. It did pop! She can wear it and look amazing and even appear to have some fashion class. But, only if she doesn't speak. Oh, the men were there. 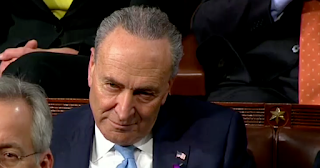 Meanwhile Schumer got the Sch-muck of the Night. Is it just me or does he remind you of the face of irrelevant? Is it just me? It is, isn't? just as it worked in Kindergarten when I didn't get my way. I can pierce him! I know it! Fire up the laser! Yes, I did also pay attention to the Republicans. They cheered a lot even if they did not pay attention. I think they were just following along with the wave. 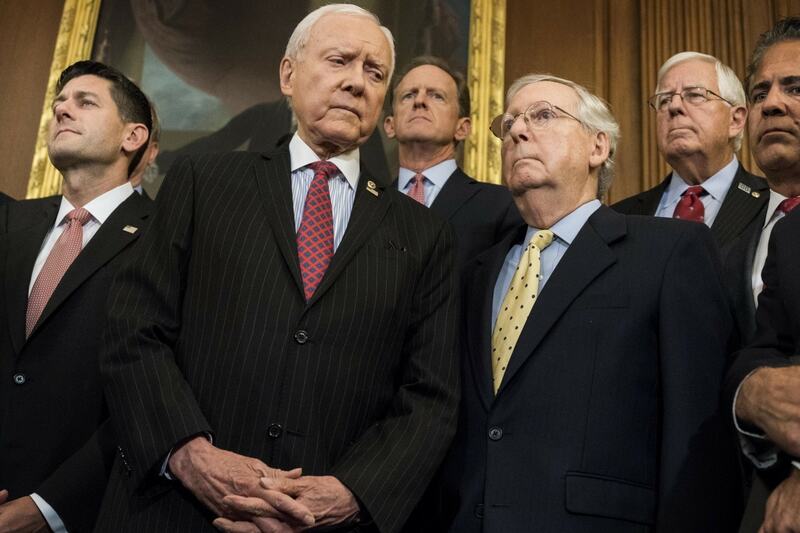 Hatch and McConnell and others were probably holding their breath in anticipation that Trump followed the teleprompter. After all, he tends to go off the rails. I hope they think about how long they can pause breathing. At their age, it might be dangerous. Actually...(just remember "actually" is a sign of lying) the old guys are important to level out the young cuckoo types (AOC). I think POTUS made a stab at socialism for Bernie and AOC. They did not flinch a muscle. It's like they had starch in their faces. You would think tho, that it would have worked on Bernie's wrinkles. Ah, you gotta love the guy. He looks like a crazy science teacher. Orin: "Please God, let him follow the red bouncy ball on the screen to the nice words. We can say "God", right Mitch?" Mitch: "Not sure. I will get back to you on that." On the other hand, Ted Cruz appeared to act like he had a bowl before SOTU or tucked a little flask in his jacket or something as he was gleeful the entire time. I mean, how can you be that happy. Perhaps the up and down and clapping after every 3rd word was similar to elementary games in PE. It brought back happy memories. Look. The left is terrified of this beard. My purple tie. All of it. But it's inclusive. Happy day, happy dance. I'm pretty sure all the Democrats are mad today. And that's Ok with me. Texas is big. It's my state. We got some Texas points tonight. 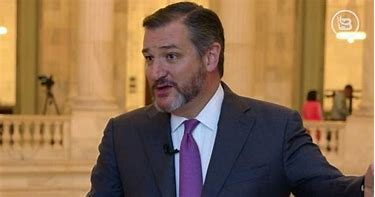 Do you think the beard makes me less political and more cowboy, if that's a thing in Congress? Well, anyhoozle. Here I am. It is time to hit the hay. More for another day. I will get around to reading my peeps more often. I have been around seeing your things, just not getting a chance to comment. I also have some more stops to get to as I have been taking the short train to get through the days since I am working about 12 hours or more a day. I'm not complaining. I'm employed and insured and digging myself out of a hole after starting over. It's all going to be excellent! I am in the right place, molding young minds. Like moldy. For reals. Occasional Cortex looked like a petulant teenager that had been told she couldn't go out and was pouting. Lol. I like that assessment. She makes me nervous only because she is nuts and the left is putting her on committees. Egads. Hey, Mr. G. I liked a lot of the speech as well. I thought it was one of his better ones. It is probably why it isn't getting bad marks as much as usual. His writers made sure to make it milquetoast as far as controversy. 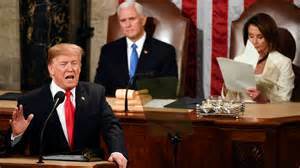 I loved the SOTU address. Funny how the only time the Frustrated Wives of the KKK got excited was about themselves. And Kamala Harris' follow up was only a cheap, free political speech to GA.
---Have to say, I was getting a bit WORRIED about 'ya. Good to see you again. ---Yeah, the SOTU was pretty good (for a change). And the poor left couldn't take to task anything the president said (but they tried to, for all the good it was worth...heh). ---Pelosi's rudeness (read arrogance) was in full swing. ---Harris did have her stink-eye on...no doubt about that. 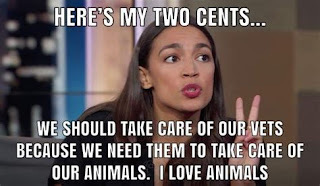 ---What was that comment abut AOC and lipstick (on a pig)? LOL! 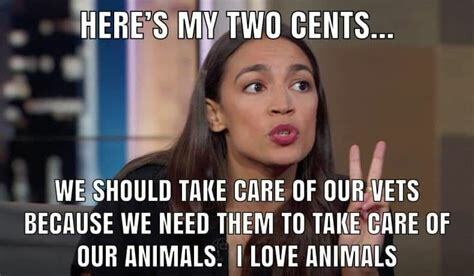 Well, she DOES love animals. ---Schumer is about as relevant as a screen door on a damn submarine! ---When it comes to McConnell, I wonder whose hand is up his back...reminds me of a MUPPET! ---Starch in their faces? More like a stick up their asses...! ---Love the PE reference.. .sure enough it DOES look that way. ---Molding the moldy minds of America...GOD BLESS YOU! Roll safe down there, Kiddo!